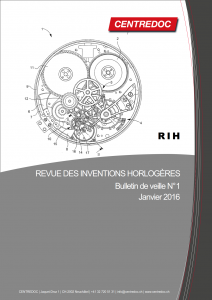 RIH, “Watchmaking Inventions Review”, provides monthly reports on the new patents in the fields of mechanical watchmaking and electronic watchmaking, as well as related branches such as exteriors or electronic components. 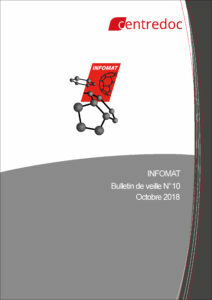 INFOMAT provides – 10 times a year – a selection of publications and patents relating to materials, their production and shaping methods for watchmaking applications. 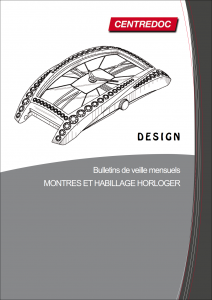 The Watchmaking Design monitoring bulletin keeps track of publications of designs and models in 14 countries: International (WIPO), Europe (EUIPO), Benelux, Germany, Spain, France, United Kingdom, Switzerland, United States, Canada, China, South Korea, Japan and Russia. 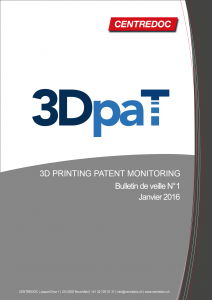 3Dpat is a patent monitoring service enabling you to keep abreast of technological developments, the players and applications in the field of 3D printing. It covers 52 countries, 17 technical categories and applications, and 19 specific companies. 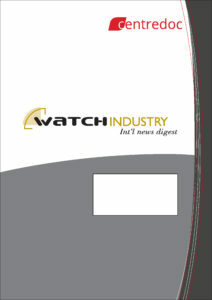 Watch Industry Int’l News Digest is a weekly monitoring bulletin presenting the highlights from the world of watchmaking. The electronic version is accompanied by a paper version, issued monthly, recapping the most important information from the past month. 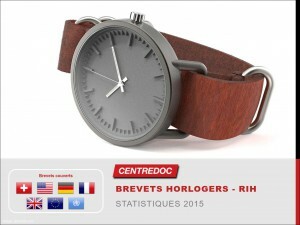 The RIH monitoring service, provided by CENTREDOC since its creation, provides a snapshot of the technical and strategic trends of the watchmaking industry players, through observing the patent applications. However, this does not provide an overview, which only the perspective of an annual statistical study can offer. 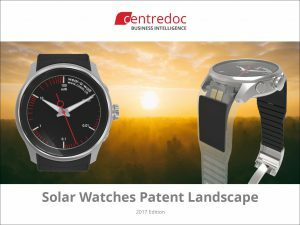 On the strength of this observation, the CENTREDOC team would like to suggest the 2017 Edition of Watchmaking Patents Statistics study by RIH. 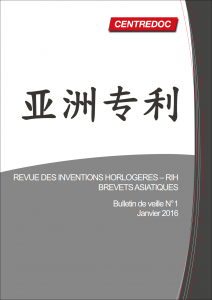 The RIH monitoring service, provided by CENTREDOC since its creation, provides a snapshot of the technical and strategic trends of the watchmaking industry players, through observing the patent applications. However, this does not provide an overview, which only the perspective of an annual statistical study can offer. 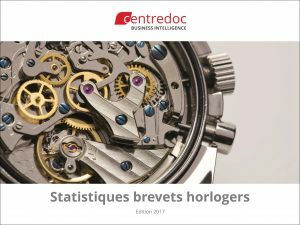 On the strength of this observation, the CENTREDOC team would like to suggest the 2016 Watchmaking Patents Statistics study by RIH.